It's Chic Week at Sephora. I love events like this because it's a great time to repurchase or to try out new high-end products at a little bit of a discount (a 15% discount, in this case). I didn't really have a concrete shopping list planned, but there were a couple of things I wanted to check out (though I didn't end up getting any of those products). 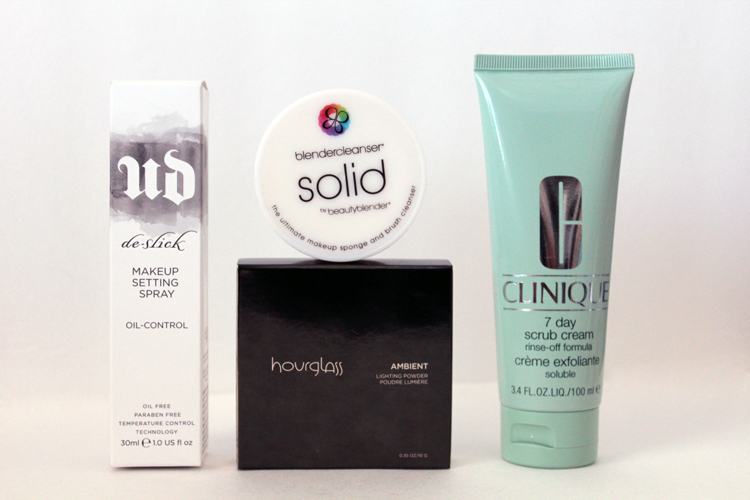 I dropped into Sephora on Saturday for a browse (both Yorkdale and the Eaton Centre) and here's what I picked up. Aside from the Clinique 7 Day Scrub Cream, everything else was basically an impulse buy. Especially the Urban Decay De-Slick & the Beauty Blender Solid Cleanser. I'm such a sucker for those buckets of mini and travel-sized goodies near the registers. 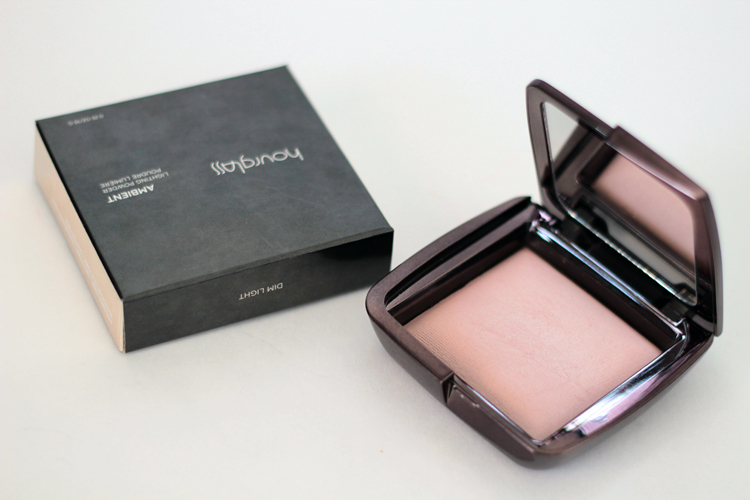 The highlight of the haul is probably the Hourglass Ambient Lighting Powder. I've been hearing a lot of buzz around it and I didn't really think I wanted it, but I snatched it up anyway. It was the last one left & there's an added desire when something's in high demand. There were a couple of shades that I swatched & liked, but I went with Dim Light to start. Dim light is described as a "neutral soft beige that provides a perfect balance of warm and cool tones to blur imperfections." How do you say no? I've worn it a couple of times and while I'm still experimenting with different application techniques, I'm liking it so far. Expect something more substantial in the future. Great buys!!!! Love the setting spray! Oh my goodness you got the Hourglass powder! It sounds like something I would love but for $50 it had better perform some miracles as I probably won't use it as much as say a regular blotting powder. Would love it if you do a comparison with a few similar products to see how it stacks up. Great buys! Looking forward to reviews of the other products as well! Yes the mythic oil works great! I'd definitely pick it up if I come across it :) I saw that Sephora email come in as well and oh my gosh... the line up for the cashier was insane!!! I thought of getting the lancome bi-facil make up remover since I was running low but Shoppers is offering 25% off soon so I'll probably stock up then! I can't decide which Hourglass powder to get! I've definitely had my eye on it for a while, but haven't made the commitment haha. I bought LipTar in Anime, a Precision Blush brush (Sephora brand #73), Nars blush in Mata Hari & Torrid, and the UD Theodora Palette. Great buys ! I've been wanting the Beauty Blender Cleanser and the Hourglass powder too.